This is an unusual article for me because I am usually focused on the pluses and minuses of a cruise line or ship; not the cruise guest. However, I have now been onboard the Azamara Quest for a week and find myself both impressed and frustrated. Because I work hard to be sure my clients are on the right ship, no less right cruise line, for their lifestyle and desires. But on this cruise there is clearly a mismatch. You see, although Azamara Club Cruises offers many upscale and luxury options, and you can tell the staff really enjoy their jobs and treat you well, and the ship is well maintained (though the Azamara Quest will be going through a major refit in September 2015)...a significant number of the passengers (I can’t call them guests) onboard have no interest in enjoying the upscale experience. Seriously! And I don’t get it…other than they chose this cruise solely based upon price and, to be sure, were looking for a big ship experience on a smaller ship and brought that attitude with them! 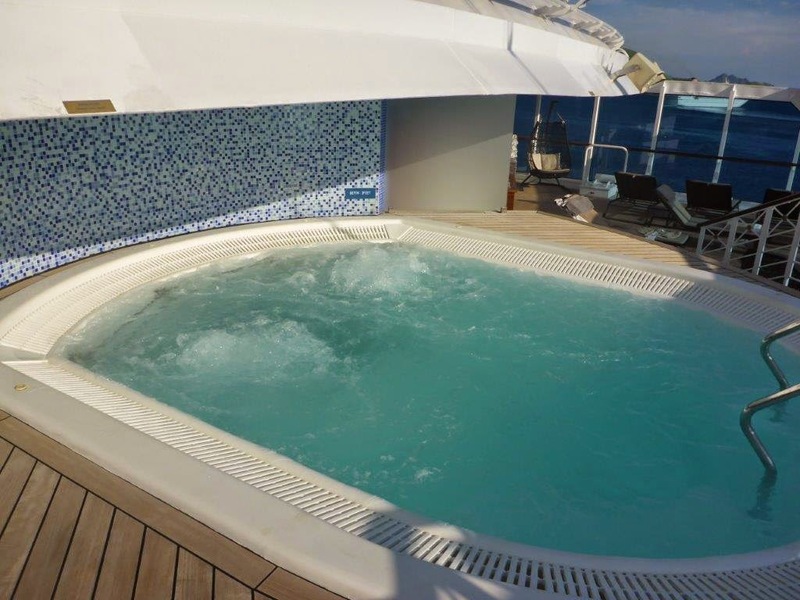 Now don’t think that the Azamara Quest is not providing a very enjoyable upscale experience. It most certainly is and, of course, it is not difficult to avoid the prototypical “Cruise Critic” crowd…because they don’t go where you will. As I anonymously wander this ship it is very clear that there are those who enjoy a more sophisticated experience, discuss their travels, have interest in your background, etc. while truly enjoying all that the Azamara Quest has to offer. They speak of their experiences on Seabourn and Oceania (interestingly freely blasting Regent Seven Seas…again - you can’t make this stuff up!) and their love of cruising. While there are a few onboard that cruise with Azamara Club Cruises for months at a time, and I can’t think of a single suite guest that is not content (while I hear the grumblings of some others), I do not hear the devout loyalty I hear while on other cruise lines…But at the same time the Upper Tier Past Guest Champagne Brunch this morning was extremely well attended. Now, before I get into the “Why are they onboard?” analysis, I want to mention some of those upscale experiences that are being underutilized. By the way, a very cool evening, and one I would definitely do if my girlfriend was with me, is you can rent out the Thalassotherapy area for a very private Night Under The Stars, with a gourmet dinner prepared for you, with complimenting wines, candles everywhere and more. It makes for an extremely romantic experience with views of the stars, the sound of the waves and… SeaDream Yacht Club offers the opportunity to spend the night on one of its Balinese beds, but this takes the concept to a whole ‘nuther – private, classier, amenity rich - level. 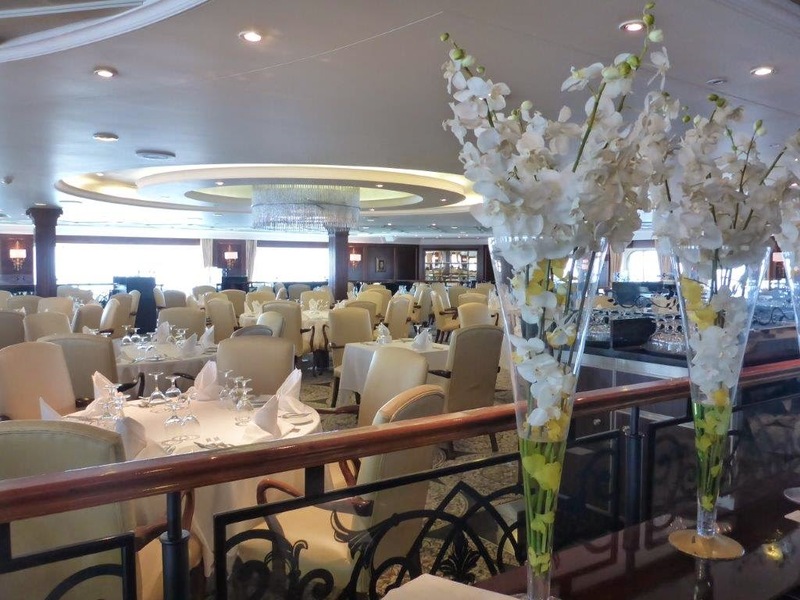 When these luxury options are added to some very pretty and intimate spaces, such as the Drawing Room, there is every possibility of having a wonderfully upscale cruise experience on Azamara Club Cruises. But then, with all of the foregoing from the attentive staff to the upscale venues, there are quite a number of passengers that appear to have a more “Don’t talk to me. Don’t invade my space. Don’t have impact upon my cruise. And get the heck out of my way when I am at the buffet!” approach to the cruise. 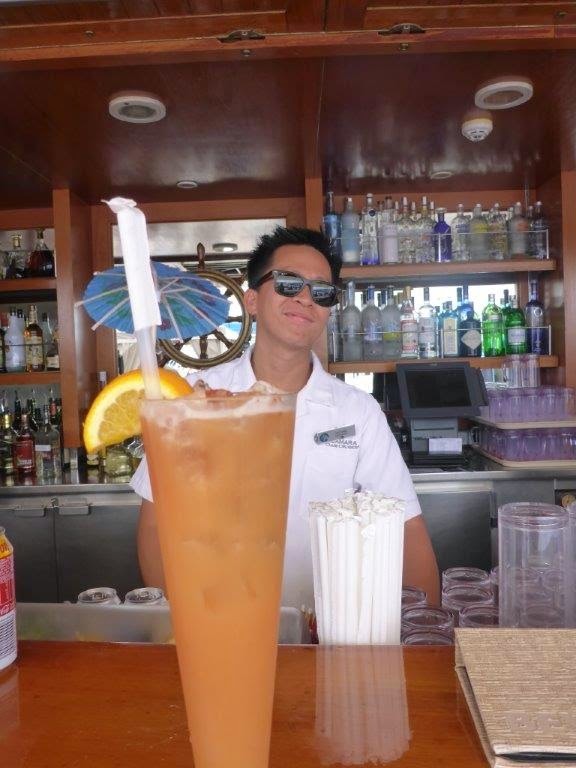 They specify the “included vodka” when ordering a drink; finding a helpful bartender’s request if they have a vodka preference as an attempted upsell rather than a courteous acknowledgement that many onboard prefer the higher quality spirits (and may well have a beverage package). So how does this happen? 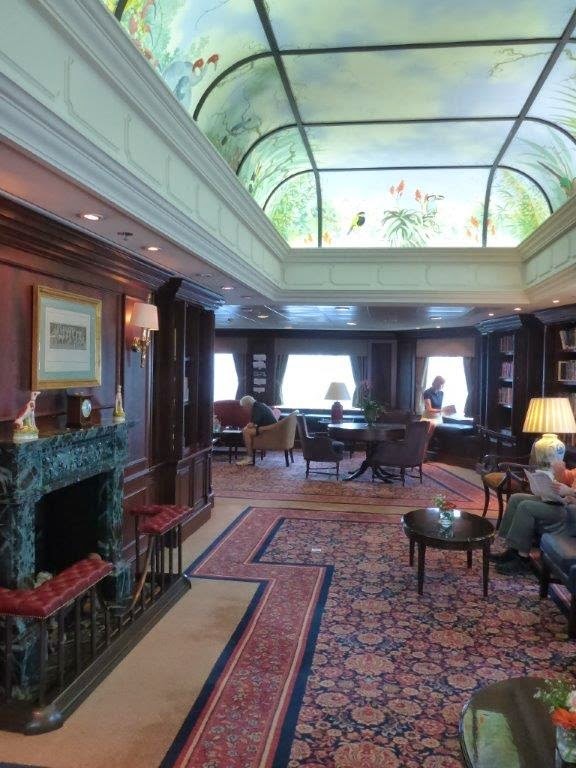 To me it is obvious: Azamara Club Cruises has its eye on the ball, to wit: The Upscale Guest. Its parent, Royal Caribbean, has its eye on short term profits thus making sure the ship is full and then generating onboard revenue. Onboard revenue you say? Yes, but not upscale onboard revenue as discussed above. It is through tables of cheap jewelry being displayed in the common areas near the Mosaic coffee bar, tours that are overpriced, etc. Fortunately, they are easy to avoid and have almost no impact on my upscale experience. 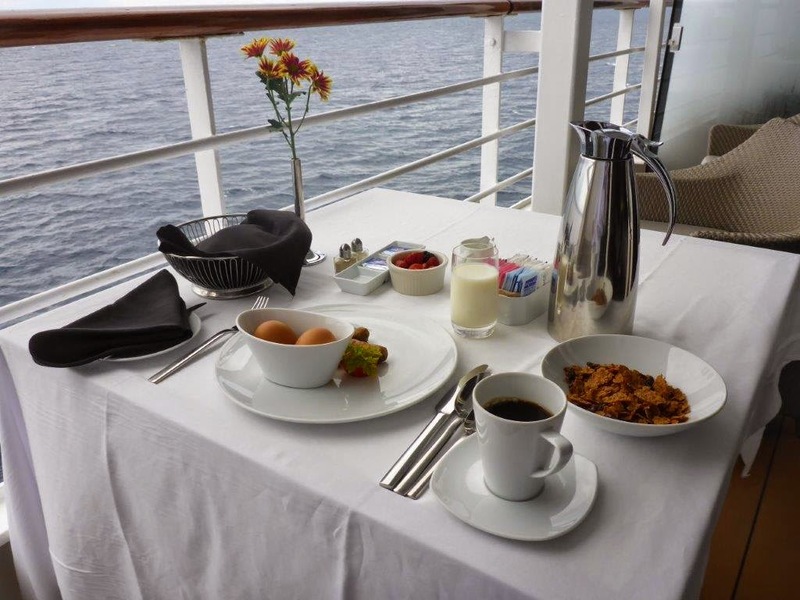 Personally, I think that since Azamara is such a strong product quality-wise in the premium market, it would ultimately increase its overall revenue by essentially eliminating the pricing structure that encourages the mass market crowd. 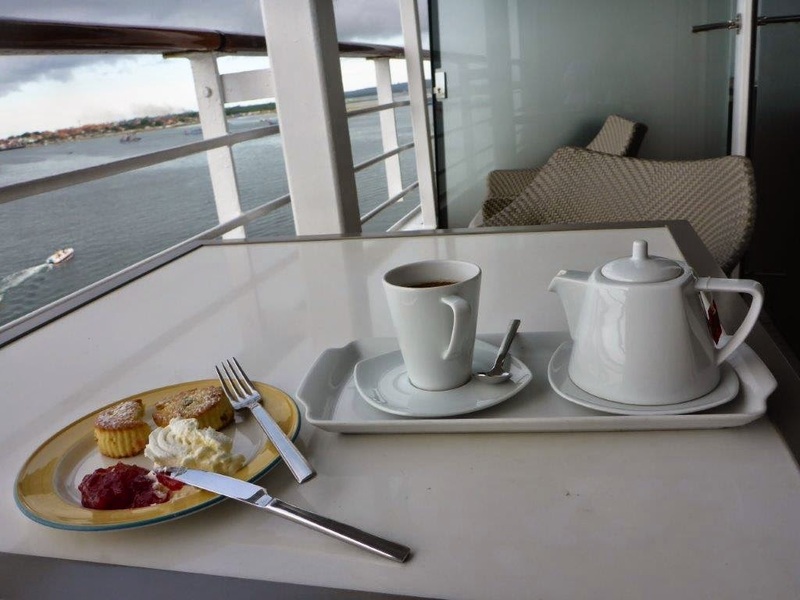 How do you do that when you have inside and oceanview staterooms for those clearly on more limited budgets? You stay firm on the price and, if necessary, let them sail empty for a while. Eventually with the proper marketing the budget conscious “traveler” or, hopefully, first or second time Millennial cruisers, versus the cruisefare-centric mass market “cruiser”, will – I believe - fill the space. In the meantime, I shall continue to enjoy writing my articles from my suite’s balcony after my champagne brunch, take a soak in the Thalossotherapy Pool overlooking the bow, enjoy a light lunch in the main dining room, have a bit of a read, do some work and then dine in Aqualina while I contemplate what I will do when we reach Manila, Philippines tomorrow afternoon after departing the complimentary shuttle into town before the included Azamazing Evening of Filipino music at Fort Santiago (which I will write about more later). 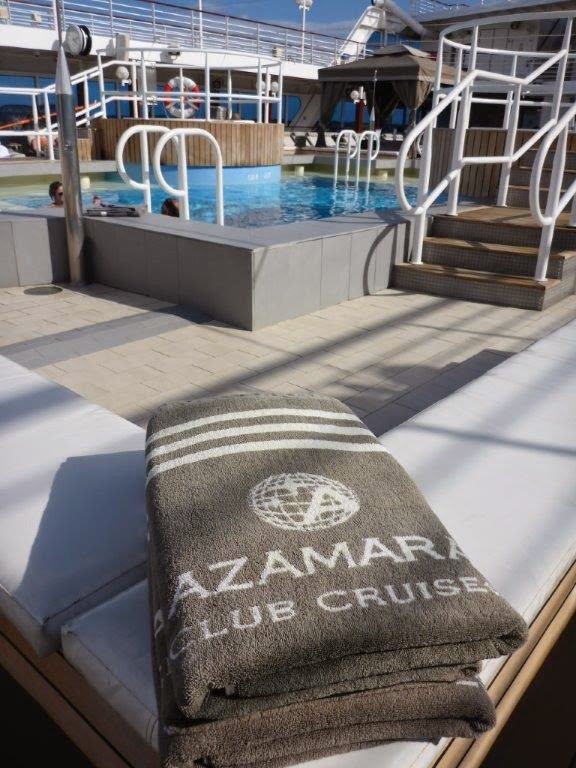 If you are interested in taking an Azamara Club Cruise or have any questions, please email me at eric@goldringtravel.com or call me at (877) 2GO-LUXURY.